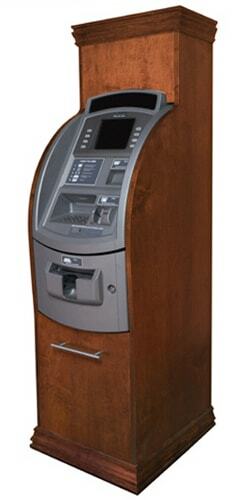 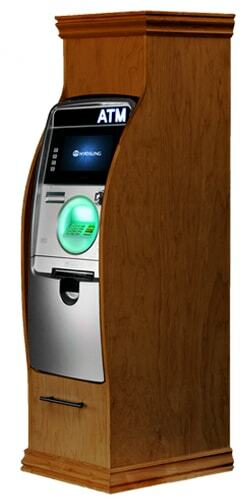 Dress up your ATM with style using our custom wooden ATM cabinets. 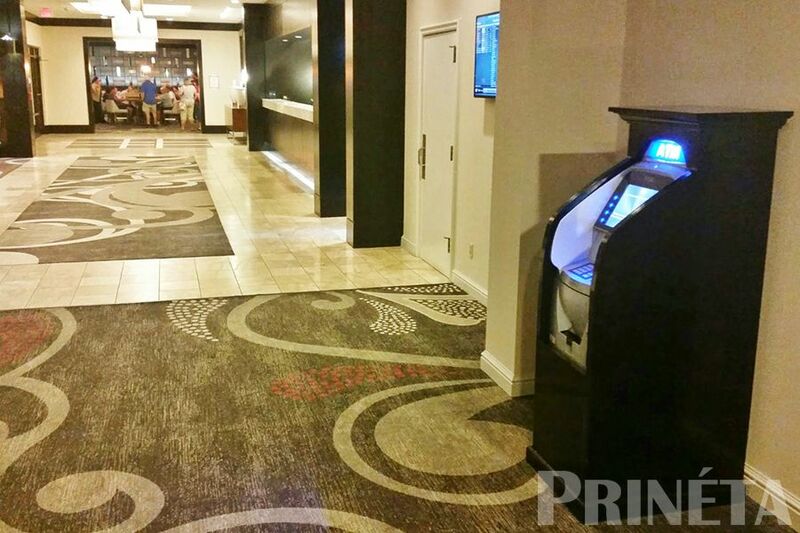 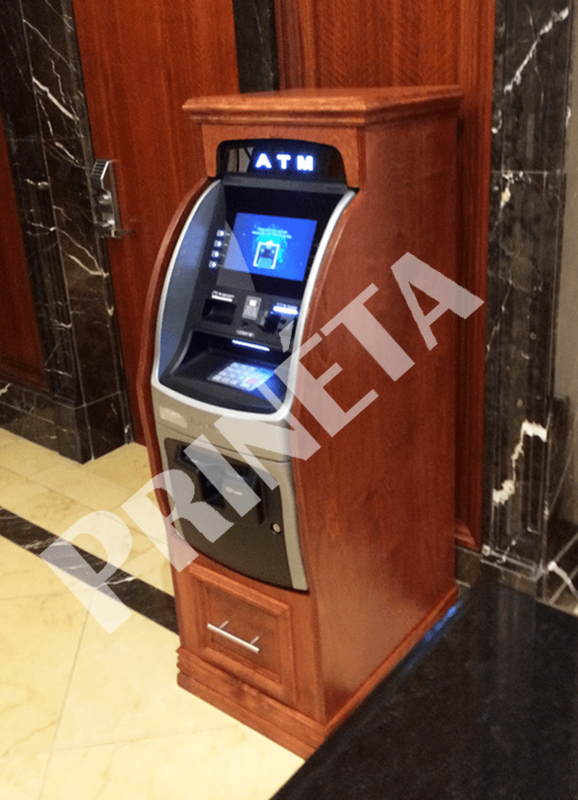 ATM cabinets and enclosures are perfect for locations who are looking for an ‘upscale’ appearance, such as luxury hotels and other high-end establishments. 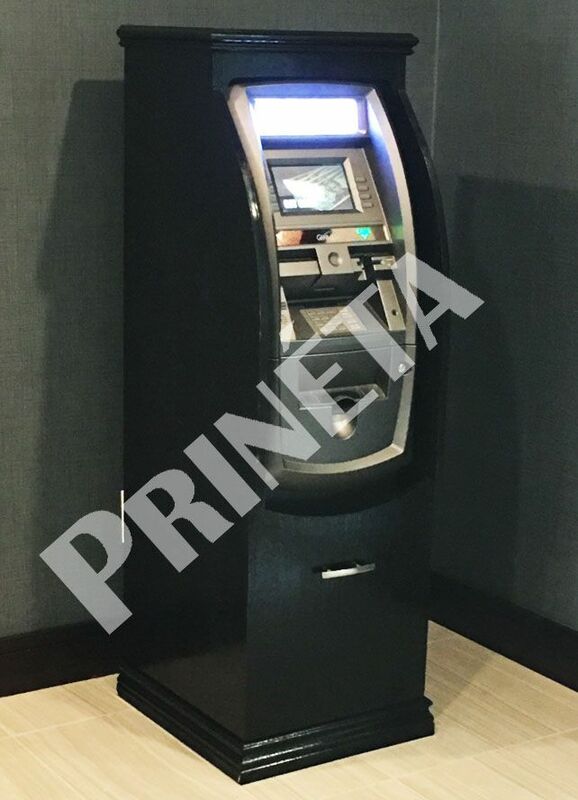 Wooden ATM cabinets can impart a more professional, sleek look to the ATM, carrying the best reflection of your business values. 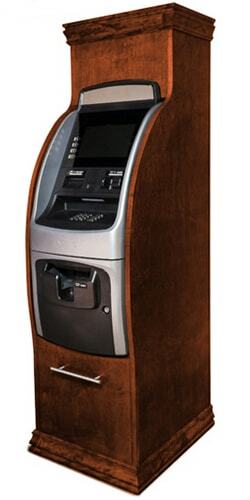 Elegance, Sophistication, Appeal, Beauty, Professionalism, Trustworthiness… just a few words to describe the ATM with a custom wooden cabinet. 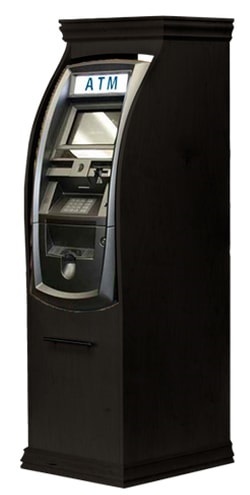 Customers are knowingly or unconsciously drawn towards appealing ATM terminals which increases usage and profitability of the ATM. 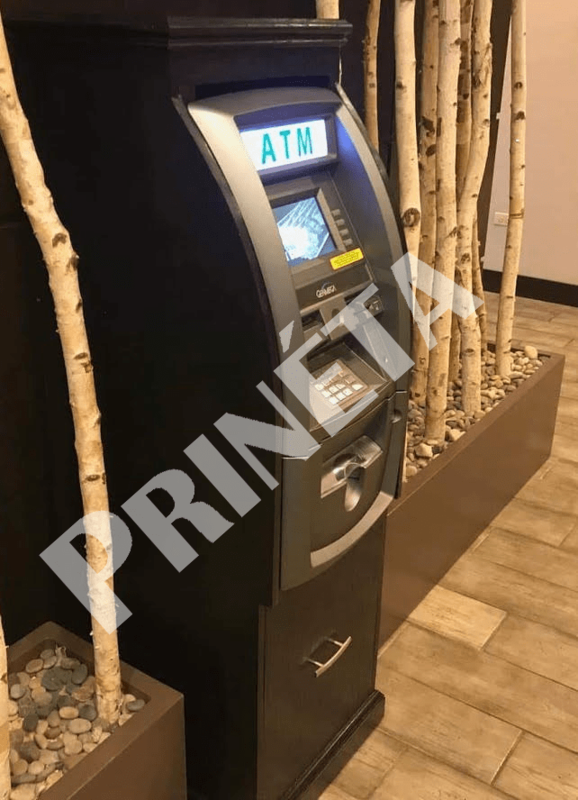 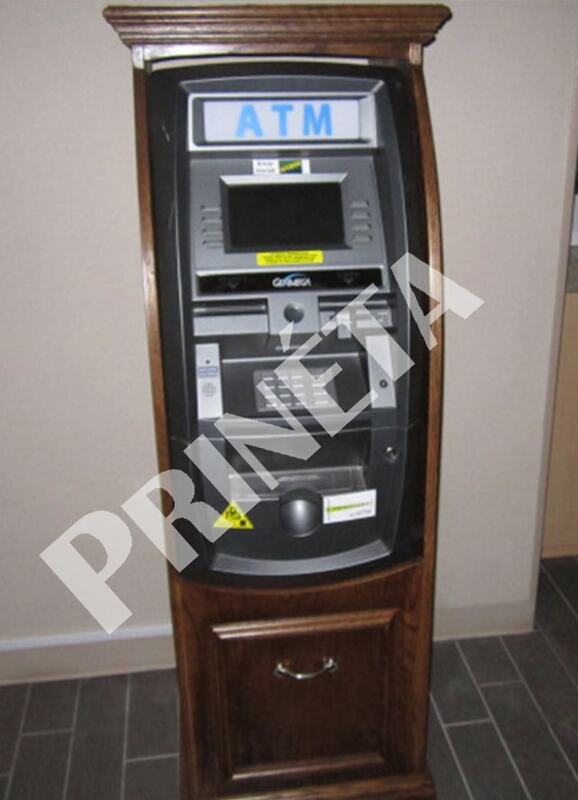 If you have received an offer from Prineta for a full-service ATM placement and have requested a wood cabinet, it will come with the ATM placement free of charge. 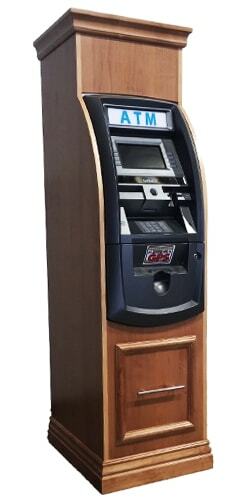 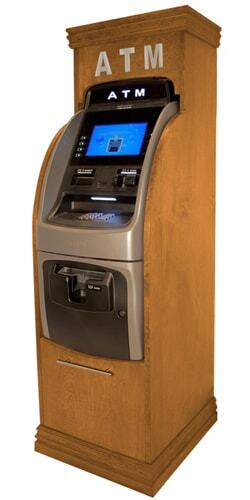 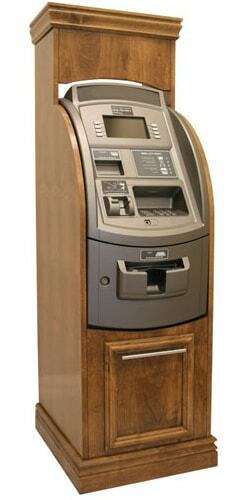 For all inquiries about wood ATM enclosures contact us to let us know what you’re looking for. 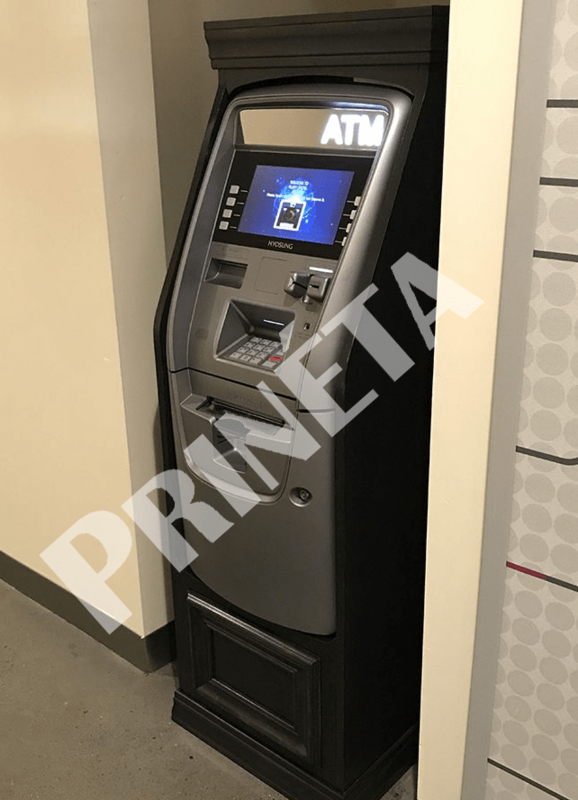 If you already have an ATM at your location, consider switching your ATM services or processing to Prineta and we’ll include a free or discounted wood cabinet! 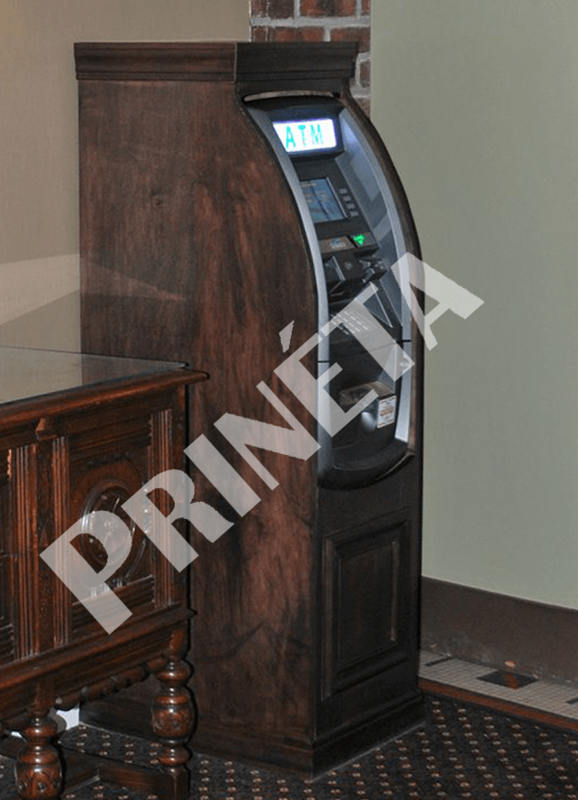 Our cabinets can come unstained, or we can stain it in a variety finishes and stains so you can be guaranteed to find a color that will match and blend in naturally with your interior decor. 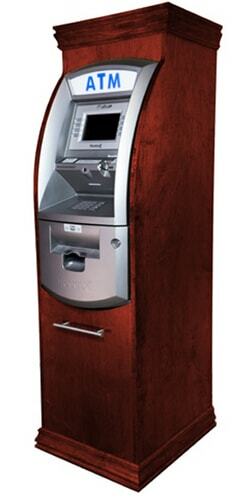 If you cannot find the exact color you’re looking for please just contact us and we’ll see if we can find it for you.